So tell me about Antergos vs Manjaro. I have a new laptop coming in and Arch is currently having some serious kernel issues (boot freezes and all that), so I wanted to try something a bit more stable. 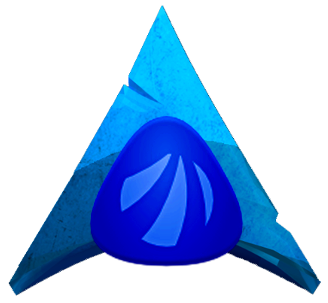 I heard that there’s really no difference between Arch and Antergos except for the installer (it uses the Arch kernel) whereas Manjaro has it’s own kernel. What else can you guys tell me about it? I just want an unbiased overview of the differences between the two. PS: I know there’s some bad blood between the two distros (which is a shame, they’re both doing great things) but I want to ignore that and focus on the OSes themselves. you pretty much got it all. antergos also has a repo included. manjaro holds back arch packages. i would just say antergos is closer to arch since it uses the arch repos. i dont think there is any bad blood. just a small dispute which is over. no biggie. you are right focus on the OSes and see what fits you better. I have ran both OSes and honestly I am just more comfortable with Antergos. Manjaro seems to slow for updates to me. i spent a lot of time over at Manjaro and i didnt like waiting for the package releases. like when firefox or chromium had a security update we didnt get those until next release. they might have fixed that by now. also holding the packages didnt make anything more stable for me. It was the exact same thing for me and its still a problem because i doubt that has changed in the last 3 months. Also rolling does not mean unstable. A friend of mine has an Arch Linux box that has an uptime somewhere in the higher 200s of days and that was only because of a power outage. @Wyn the Antergos Repo also includes some apps also. like pepper flash which is great they added that. None of it is customized though, it is only to save time; I can build any of it from aur. That’s the difference . Ya. I completely agree with this ‘arch way’ crap. There isn’'t any need for that type of ‘elitism’, either. you want a customized flash? of course you can build anything from AUR but much easier when in the repos i think. What do you mean by customize flash? I simply use the flash off the main repo’s with libvdpau. My experience with Manjaro, apart from delayed updates, is that I always ended up with major issues that prevented me from keeping it as my distro of choice. Sometimes an update would go wrong, or the system wouldn’t boot… of course you can spend hours searching for a solution in the forums, but that’s not IMHO what a ‘beginner’s friendly’ distro should be. Last… “but not least” now they have a GRUB issue, if you share your computer with any other distro, and do not use their Manjaro GRUB, this “user’s friendly” distro will refuse to boot and slap a “kernel panic” on your face. I’ve been using Antergos Gnome for the last 6 months and I never experienced any kind of major issues like that. I tested both lately and I found Antergos being a bit more on the bleeding edge than Manjaro (more recent kernel by default for instance). I prefer Gnome over KDE, so, as Manjaro advertises / supports more KDE and XFCE as standard, I prefer Antergos with its Gnome support. For me the most important is the gain of ram. Nobody talk about this. With the same desktop (gnome 3.16) i noticed a decrease of around 500/600MB. With Manjaro i was around 1.70GB, with Antergos it’s 1.1GB. Don’t ask me more, i don’t know why; but it’s a good thing. Does anybody noticed that, or am i alone with it ? I don’'t use Gnome or Antergos, I am on Manjaro with the mirrors pointing to Unstable (sorta kinda Arch but a day or so behind) and I am on OpenRC and no Systemd or Pulse. I now have Palemoon and Thunderbird up and I am using about 400mb. When I boot up my computer reports about 215mb. So your system reporting 1.1gb is outlandish by any standard. The only time I ever got that high was when I was using Pulse and Systemd with Thunderbird and Firefox and an editor (Geany). Closiing those applications and it would drop to about 600-700mb. So maybe you should bring up gnome-system-monitor and check the Processes tab and click on Res Mem and see if any app is going bonkers using ram. Strictly speaking, Manjaro and Antergos are not that different as it may sound if we are to believe the comments. Both are based on arch, and they are both expected to behave pretty much the same under equal circumstances: whenever you install the same packages there will be no much difference. That being said, I find Manjaro to be a little bit on the conservative side. Hence the delays. This is not necessarily a bad thing. Most of the time you don’t really need to install the very latest version of a package. Maybe the other difference is the default selection of packages. I used Manjaro for a while, maybe half a year, and it was responsive and a solid system. Antergos is as well responsive and solid, and their default package selection is good. I’ve only experienced some minor issues with the bluetooth connection (which I’ve solved), but I don’t think they are related to the way they build the distro. Of course, applications are running […], and it’s approximative; i switched from Manjaro to Antergos and immediatly noticed in some days of use, with the same apps, that great difference. That’s all that i know ! Jeez I only get 230mb running plasma…Gnome is a hog. @Theringer the above answers sum the differences, Antergos is an installer creating a mostly-vanilla distribution VS Manjaro’s, more conservative approach (by Arch’s way) and inclusion of dedicated repos and homebrewn apps, distribution. I can only provide my personal experience as a recovering -hopefully- distrohopper. When I used Manjaro, not for long, I tested it to the point of breakage as I always do to check a system’s tolerance. Firstly, Manjaro broke/froze/kernel panicked much easier than Antergos, on which I haven’t encountered any issues. Maybe it was the fault of octopi, or some of the homebrewn applications, or something else entirely. Secondly, the applications list on Cinnamon and GNOME was significantly larger than on Antergos, for some people this may seem better but for me it’s a deal-breaker to have more than one applications for a single action (VLC, Totem for videos etc). And lastly, Numix Forst > Manjaro’s green theme.